Darke County Center for the Arts will present We Banjo 3, a band from Galway, Ireland that plays a blend of traditional Irish, old time, and bluegrass music, on Saturday, February 4 at Henry St. Clair Memorial Hall in Greenville. According to DCCA Artistic Director Keith Rawlins, members of the band have won numerous awards in their native country, including eleven All-Ireland titles on the banjo plus an All-Ireland champ on both fiddle and bodhran. “We Banjo 3 combines amazing musical skill with joyful energy to engage everyone who enjoys acoustic music of any kind,” Mr. Rawlins explained. Consisting of two sets of brothers, the band includes Enda Scahill and Martin Howley on banjo, mandolin, and tenor guitar, Fergal Scahill on fiddle, guitar, and bodhran, and David Howley playing banjo and guitar and adding vocals. “Martin Howley is the first Irish banjo player to play at the Grand Ole Opry, Enda Scahill is known world-wide as a banjo wizard, Fergal Scahill is one of the most renowned fiddlers in Irish music, and David Howley is quite simply a hugely talented singer and multi-instrumentalist,” Mr. Rawlins stated. “They are breakout stars wherever they play, and wowed crowds at Dayton's Irish Festival last summer with their Americana meets traditional Irish sound that they call Celtgrass,” he concluded. 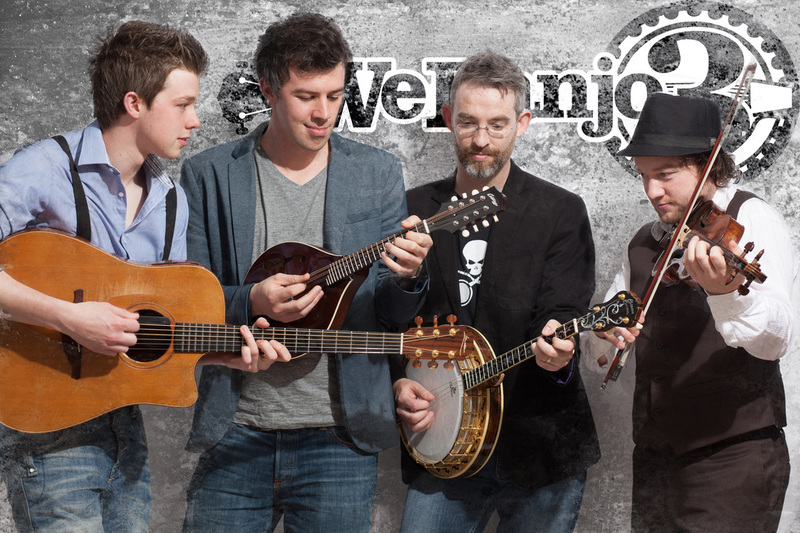 Sponsors for the concert by We Banjo 3 are Second National Bank and The Bistro Off Broadway. This presentation is supported by the Arts Midwest Touring Fund, a program of Arts Midwest that is funded by the National Endowment for the Arts, with additional contributions from the Ohio Arts Council and the Crane Group. Additionally, the Ohio Arts Council helped fund this program with state tax dollars to encourage economic growth, educational excellence and cultural enrichment for all Ohioans. DCCA also receives funding from the Harry D. and Esther Stephens Memorial, Ketrow Foundation, and Lydia E. Schaurer Memorial Trust Fund, as well as DCCA memberships. We Banjo 3 will also perform for high school students in all local public schools January 30 through February 2 as part of DCCA's Arts In Education program; these performances are free and open to the public. Tickets for the February 4 concert cost $20 for adults; students will be admitted for half price. To reserve tickets, contact DCCA at 937-547-0908 or dcca@centerforarts.net; tickets may be purchased at DCCA's office located within Greenville Public Library as well as online at www.CenterForArts.net. Remaining tickets will also be available at the door prior to the performance which begins at 8 p.m.